I’m left-handed, and, despite thinking of myself as being reasonably ‘creative’ (having written lots of poetry), I had never really seen myself as being particularly ‘musical’. Not that is, until my very late 40’s, at which point I decided to buy myself a guitar and ‘have a go’. This is my story…. I had no idea how to play guitar and felt too embarrassed to go to a music shop to buy my first guitar, so I bought one online….that has now changed. I started acoustic guitar lessons towards the end of 2010 and by 2012 wanted to write songs for myself. 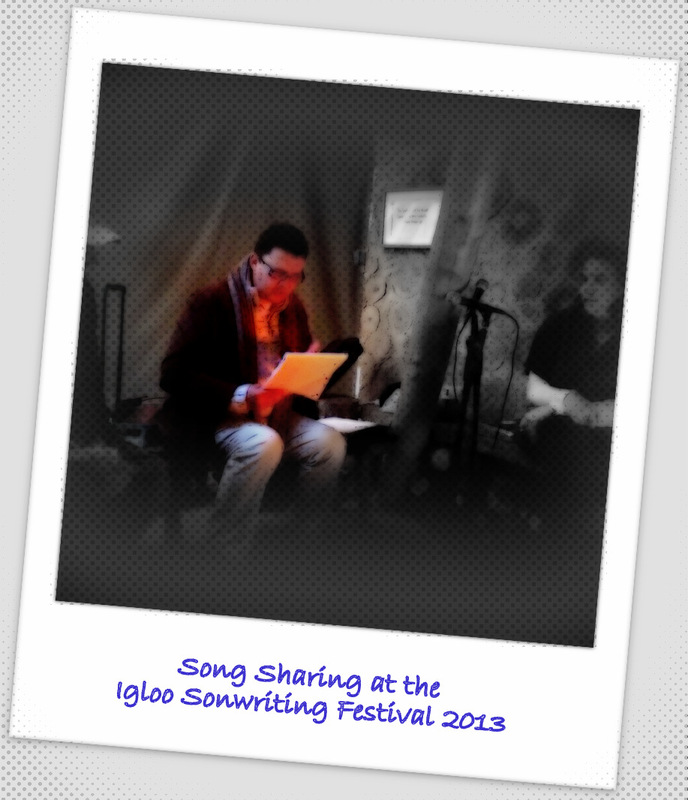 At that point, my teacher (Amy Goddard) introduced me to the ‘Igloo’ team as I attended my first song-writing festival. That was a real turning point for me. That event set me onto a song-writing path that refuses to stop.. I would encourage anyone who has a hankering to do something musical to just give it a go. You never know what you will discover about yourself. So now I’ve moved onto home music production. I now have a website and SoundCloud domain for song sharing. I record and produce all of my own music at home. It’s a constantly evolving ‘learning curve’ that I’m happy to experiment with. Now that I have a few songs under my belt, I’m hoping to develop my performance skills.. All of this remains a hobby that I continue enjoy. I hadn’t intended to perform my songs in front of anyone else, but one thing led to another. 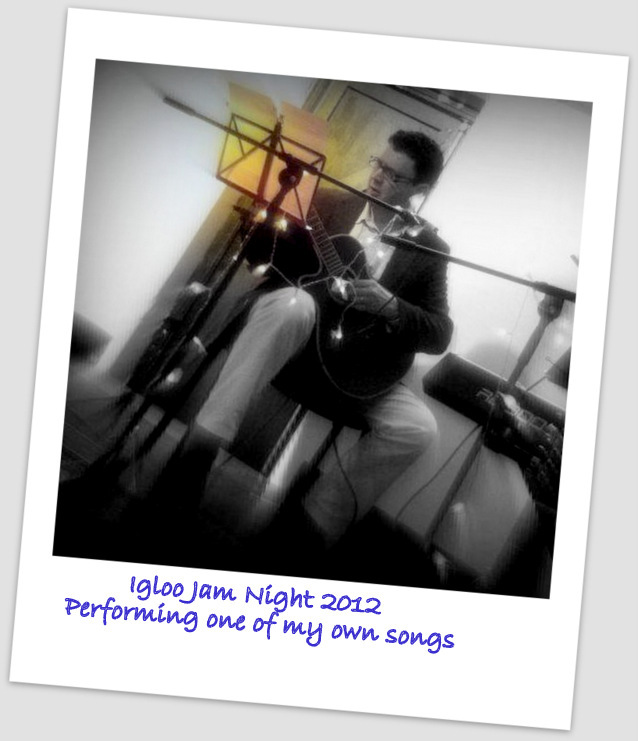 I took some vocal coaching/ training via igloo, attended a few Igloo Jam Nights which really helped to build confidence as well as technique. That said.. Song-writing remains my foremost love. I’ve written and recorded around 30 songs now, most of which are on my SoundCloud site.